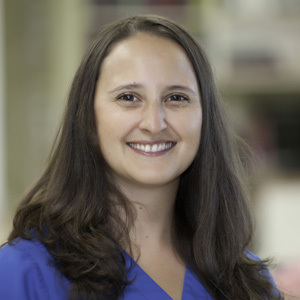 Dr. Theyyunni has a BS with Honors in Zoology from Michigan State University and a Master's Degree in Public Health with a veterinary focus from the University of Minnesota. Dr. Theyyunni obtained her Doctorate in Veterinary Medicine from MSU. After graduation, she completed a small animal internship at Michigan State University and then spent a year and a half in general practice. Dr. Theyyunni returned to emergency medicine with AEC in 2012 because she missed the challenge, variety and quirks of emergency medicine. "It's never boring - one night, I might be taking care of a cat with bite wounds and a dog that ate rat poison, but the next I'm treating a sick rabbit or doing surgery to take a sock out of a dog". She is a member of the MVMA, AVMA, SEMVMA, IVECCS and AAHA, and is always ready to learn new things. Dr. Theyyunni has a 4 year old Boston Terrier named "Lucy" and a 7 year old French Bulldog named "Dori". Dr. Theyyunni enjoys gardening, cooking, trying new foods and traveling with her husband.